One of the benefits of Women Who Write are the opportunities to attend WWW events where members socialize, learn, and make connections with fellow women writers. The WWW Board has been busy planning a variety of special events for the upcoming months. I hope you will join us at these events where we each continue our writing paths with the support of each other. Selene Phillips’ poetry was featured at the University of Louisville Open Walls Exhibit in June at the Ekstrom Library. Congratulations to members Erin Wedemeyer and Pat Smith who both had successful book signings in May. A special thanks to Erin for her gracious acknowledgement of Women Who Write in her book. We had 14 in attendance which included two visitors, Donna Elkins and Linda Yewell. The following members read their work. Welcome to the following who recently joined Women Who Write. The next regular WWW meetings will be Thursday, July 5 and Thursday, August 2. All meetings are from 6:30 to 8:30 p.m., at the Highlands-Shelby Park Library reading room, in the Mid-City Mall, 1250 Bardstown Road. If you plan to read, please remember to use the industry’s standard of double spaced, 12-point, Times Roman font when preparing copies of your work for distribution during regular meetings. Also, please limit to four pages. Join us at our annual new member reception on August 25 from 11 am to 2 pm at Diane Cruze’s house, 1636 Edenside Avenue, Louisville, Ky 40204. Refreshments will be served as we welcome all new members who have joined Women since August, 2017. For more information and to RSVP visit the WWW website event page. Women Who Write is hosting a writer’s workshop on Tuesday, September 25th, 2018 at the South Central Regional Library in Louisville, KY from 6:30 – 8pm. The address for the Library is 7300 Jefferson Boulevard, Louisville, KY 40219. 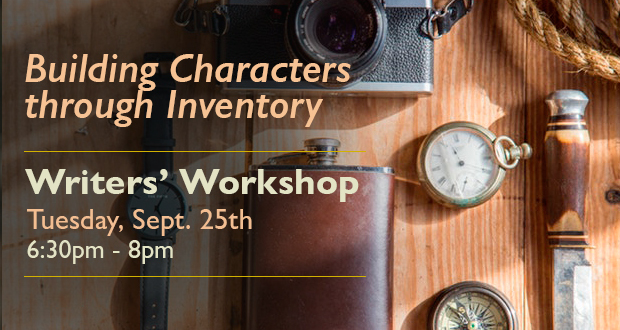 Join author and EKU faculty member, Julie Hensley, as she facilitates an interactive workshop open to everyone on Building Characters through Inventory. Get ready to empty the pockets, drawers, and glove compartments. In this fiction workshop, we’ll create inventories to enrich character development. We’ll learn how the physical characteristics of a character (eye color, hair style, height) are much less important to readers’ understanding than the objects the characters encounter and with which s/he interacts. Inventory is where action and characterization meet, making it an essential part of plot. A donation of $10 is requested. You may register on the website with payment thru Pay Pal or mail a check payable to Women Who Write, P. O. Box 6167, Louisville, KY 40206. Julie Hensley was raised in the Shenandoah Valley. She traveled west, earning a MFA at Arizona State University. Now she makes her home in Kentucky with her husband (the writer R. Dean Johnson) and their two children. She is a core faculty member of the Bluegrass Writers Studio, the low-residency MFA program at Eastern Kentucky University. Hensley’s poems and stories have appeared in dozens of journals, most recently The Journal, The Southern Review, New Madrid, Saranac Review, and Blackbird. She is the author of two books of poetry, The Language of Horses and Viable, and one book of fiction, Landfall: A Ring of Stories (winner of the 2015 Ohio State University Non/fiction Prize). SPACE IS LIMITED. HOPE TO SEE YOU THERE! Join us at the Women Who Write’s Annual Fall Retreat at the Hopscotch House on Saturday, October 13th at 10 am thru Sunday, October 14th at 3pm. Come for a few hours, spend the day, or register as an overnight guest (accommodations are limited to 9 guests). Bring your writing project, enjoy the outdoors, and socialize with old and new friends who share your same interest. This is a MEMBERS ONLY event. Please bring either a breakfast item or side dish to be shared for a pot luck dinner, and a bag lunch if you would like. Platters of fried chicken will be provided for dinner by WWW. Register on the WWW website. 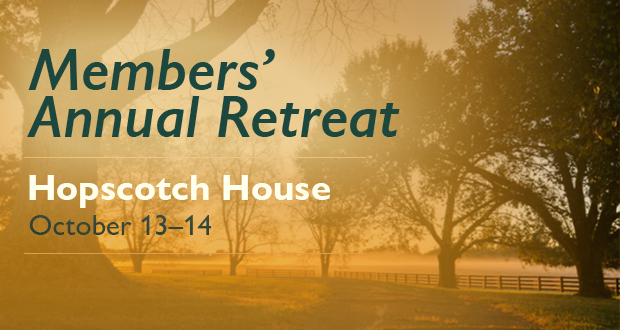 Fifteen dollars will be collected at the time of registration by Women Who Write as a donation to the Kentucky Foundation for Women as a thank you for the use of their beautiful house and grounds. Payment may be made by Pay Pal, or mail a check to Women Who Write, P.O. Box 6167, Louisville, KY 40206. Please join us at The Bard’s Town 1801 Bardstown Road, for Women Who Write’s Third Annual Evening of Readings on November 1, 2018 . Gather at 6:00 pm to order beverage and food. Readings will begin promptly at 6:30 pm. This event is in lieu of our November WWW monthly meeting at the library. All genres are welcome. For those interested in reading a ten-minute piece or less, email your name and title to Diane Cruze at sdcruze55@yahoo.com. First come, first serve with preference given to those who have read at our monthly meeting. Maximum of 12. The Dutch treat holiday luncheon is scheduled for Sat., Dec. 1, 20118, 11:30 am to 1:30 pm at Mimi’s Café 615 S Hurstbourne Pkwy, Louisville, KY 40222. More details soon. Steve Cambron, organizer of the Flying Out Loud monthly public literary readings has invited WWW members to participate in celebrating Women’s History month in March 2019. Six WWW members will give ten minutes readings of work they have written that are related to a woman’s perspective on history or living in today’s world. All genres are welcome. The reading will be March 11, 2019 from 6 to 8 pm at Sunergos Coffee shop, 2122 South Preston Street. Reading slots are limited. Sign-up soon. Notify Diane Cruze sdcruze55@yahoo.com if you would like to participate. WWW members Bonnie Omer Johnson and Kimberly Crum have launched The Boom! Project, a multi-genre anthology they will be producing and editing. The editors are two baby boomer writers, who believe it is time for their generation to lift their voices again, to preserve the past and inspire the future. Writers, poets and storytellers born between 1946 and 1964 are invited to submit memoir, fiction, essay, poetry or interview— between June 1 and September 30, 2018—for publication in an edited anthology. Submissions must be composed by persons who came of age, or are living now, along the Ohio River Valley—From Pittsburgh, Pennsylvania to Cairo, Illinois. Bonnie and Kim are looking for humorous, quirky and zany writers, urban and rural writers, farmhands and praying hands, professionals and porch sitters, teachers and learners, soldiers and sailors, protestors and civil rights marchers. In 4,000 words or less, write about life as a member of our loud, proud Baby Boom generation. The anthology will be published by Butler Books, a well-respected publisher, since 1989, in Louisville, Kentucky. Persons without Internet access may send entries to PO Box 7182, Louisville, KY. 40057. Selected writing will receive publication, a $100 cash award and five copies of the anthology, as well as future copies at cost and a chance to read at local libraries and bookstores. All stories must be original. Reprints will be considered as long as writers have full rights. Seasonal Rites events give members an opportunity to bring their laptop or writing tablet and start on that new writing project, revise and edit a piece, or use a writing prompt to jumpstart new writing ideas. It is also an opportunity for members to support each other in their writing pursuits. We would love for members to volunteer to host a Seasonal Rite at their home or at a community location. As the host, you choose the date, place and time for us to gather. Contact a board member if you would like to host a Rite. Carnegie Center Flash Fiction Contest. Stories of 500 or fewer words. Prizes $150 and $100. Public reading Aug. 28 at the Carnegie Center. Submit by US mail to: Flash Fiction Contest, 251 W. Second St., Lexington, KY, 40507. See details online. Entry fee $10. Deadline July 13. Writer’s Block Poetry Prize. Submit up to three poems. Prize: $500 and publication in The Louisville Review, plus a chance to read your poem at the 2018 Writer’s Block Festival in Louisville on Nov. 10. Entry fee $12. Deadline Aug. 1. $12 ENTRY FEE. Critique for an additional fee. Deadline July 31, 2018. 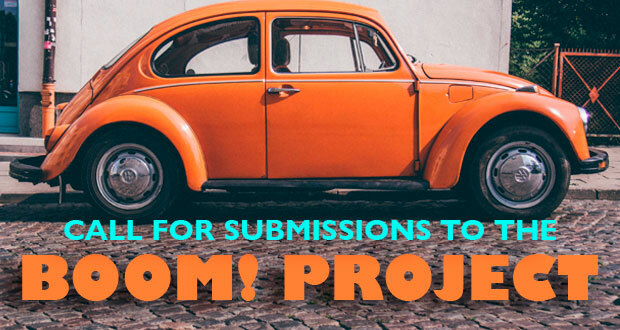 Seeking creative nonfiction essays between 200 and 1,000 words on any topic and in any style, from personal essay to lyric essay to hybrid and more. The mission of this contest is to reward bravery in real-life storytelling and create an understanding of our world through thoughtful, engaging narratives. First Place: $500, publication, interview, and gift card good for one item from CreateWriteNow. Second Place: $300, publication, interview, and gift card good for one item from CreateWriteNow. Third Place: $200, publication, interview, and gift card good for one item from CreateWriteNow. Seven Runners-Up receive $25 Amazon Gift Cards, publication, interview, and gift card good for one item from CreateWriteNow. Ten honorable mentions receive a gift card good for one item from CreateWriteNow. Open internationally. Limit 300 entries. $10 ENTRY FEE. Critique for an additional fee. Deadline August 31, 2018. Seeking short fiction of any genre between 250 and 750 words. The mission of this contest is to inspire creativity and provide well-rewarded recognition to contestants. First Place: $400, publication, interview, and $25 Amazon Gift Certificate. Second Place: $300, publication, interview, and $25 Amazon Gift Certificate. Third Place: $200, publication, interview and $25 Amazon Gift Certificate. Seven Runners-Up receive $25 Amazon Gift Cards, publication and interview. Ten Honorable mentions receive a $20 Amazon Gift Certificate. Top 10 stories are published in the WOW! Women On Writing ezine, and contestants are interviewed on WOW’s blog, The Muffin. Open internationally. Limit: 300 entries.